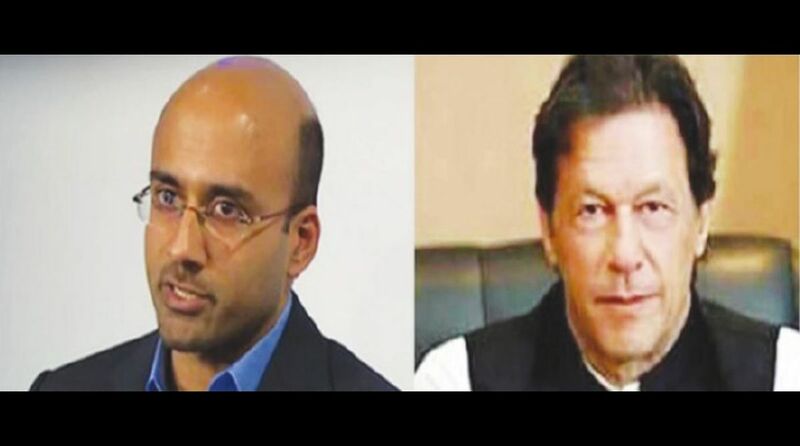 The events surrounding the resignation of Prof Atif Mian from Pakistan’s Economic Advisory Council for reasons that have nothing to do with economics or advice-giving do not need retelling. Collectively, it is a tragic story of bad planning, cowardice, and capitulation; one that we have seen repeated several times in the past albeit with different props and characters. There is no doubt that the government will lumber on from this episode, just like there is little doubt that, going forward, it will be poorer in its technocratic resources, and more constrained in its political space. To sustain a blow from an entrenched ideological lobby so early on in its tenure, despite all state institutions not only being on the same page, but probably on the same line on that page as well, is truly worrying. In the recent past, several writers have analysed various episodes of capitulation. The question at the core of such analysis is what makes Pakistan more susceptible to ideological blackmail from various shades of the religious right. 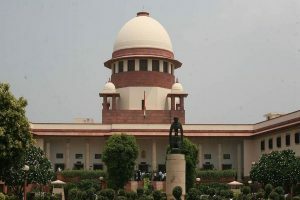 The query becomes more urgent when the relative strength (and supposed intentions) of the ruling dispensation — the government, judiciary, and military — is taken into account. Conventional takes would argue that a government with an assured electoral mandate, apparent clarity of purpose, ostensibly large amounts of political capital with the media, and the support of the most powerful institutions in the country could withstand peripheral pressures. That this has not happened requires detailed interrogation. How weak is the Pakistani state? The broadest possible explanation goes back to Partition. Favoured by a section of the liberal intelligentsia (as well as Indians of several shades), the argument is that a country created in the shadow of communal politics will always remain susceptible to religious radicalism in some form. It is both a function of its original political-cultural make-up and has been reinforced by the politics chosen by the state elite after Partition who have instrumentalised religion to combat ethnic and class assertion. The argument has some merit, and the inability of the early leadership to clearly circumscribe the role of religion in public affairs can be pinned down as a decisive factor in causing the mess we’ve seen in subsequent decades. However, like all explanations taking culture as their central variable, it seems too abstract and static. After all, cultures evolve in tandem with changes in other realities like the economy, demography and various forms of social relations. The role of societal change, in particular, deserves serious consideration. The fact that religious parties don’t do well in elections is widely acknowledged. But it’s also clear from the shape of jurisprudence, legislation, and societal norms around gender, minorities and faith, that the ideological reach of fundamentalism is significant. What then are the pathways through which otherwise small groups of ideologically committed extremists shape social mores and public policy? One plausible answer is the threat of violence. Around 1,500 men blocking a main highway, setting things on fire, and causing damage to public property in the name of religion has proven to be an effective tactic since the early 1950s. The brinkmanship displayed in such acts means that the state is often unwilling to take them on for fear of creating martyrs. Relatedly, by framing their assertion as an attempt to bring the state closer in line to its own stated agenda of Islamisation, they also garner at least partial sympathy from the dominantly Sunni Muslim public. Hence, we see rationalisations of the sort that appreciate the overall message of the Islamists while tut-tutting on their chosen means. Another explanation is that small but well-organised religious groups carry leverage over political parties due to their work at the grass-roots level, in the form of ‘(un)civil society’. Community-based research (including my own in several wholesale markets of Lahore) shows that religious groups are often the only organised actors engaging in charitable work and building a public sphere around collective acts of worship, religious rituals and festivities such as Khatm-i-Nabuwat conferences and mehfil-i-milaads. During elections and other moments of political need, the social capital accumulated by religious groups, as well as their ability to enact coercion and violence, is taken advantage of by parties seeking votes and support. This helps create a dependent relationship which, in turn, amplifies the voice religious groups carry in the everyday functioning of the state. Finally, the third and most potent pathway emerges at the intersection of upward mobility, ideological belief, and the weakness of political parties. For at least the last four decades, the median social character of our political elite has transitioned from the colonial-era landed class to rich commercial farmers, and now finally to a new trading/real-estate segment. These last two groups now dominate our legislatures and provide the electoral edifice on which all parties stand in government or in opposition. These are also the groups that have formed the closest material and ideological relationships with the religious right. Whether it is traders patronising events that commemorate Mumtaz Qadri, or landlords justifying their social hierarchy through appeals to religion, the mullah-new elite nexus can be seen in many different parts of the country. It is these very nouveau or aspiring elites that have made the greatest amount of space for themselves in all political parties. They’re the ones who sponsor regressive resolutions from the opposition benches in the Senate, and they’re the ones who rejoice at their own party kicking out a potential future Nobel laureate over his faith. People take a great deal of comfort in the fact that Khadim Rizvi’s party won only 2 per cent of the total vote. However, their comfort should be curtailed by the reality that his ideas have found resonance with leaders and elites in each and every mainstream political party.